Krishna loves butter and enjoys it more by stealing it. The residents of Gokul (Gopies) very happily churn out the most nectarean butter so that Krishna would come to their home to steal it. This is a VCD with interactive games for children to play on a computer and a video that will play in a DVD player. 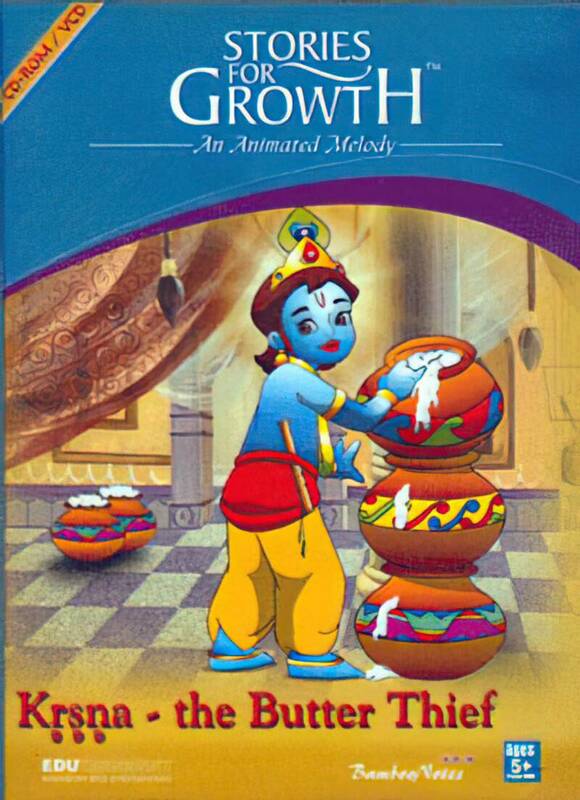 This most enjoyable past-time of Krishna stealing butter (Damodar Lila) is presented in this CD in a fully animated form with music, songs and voice over. There are many interactive games too for children to play.